Customers who are renting skis and sufboards from our store are supplied with free lockers to use every day. For other customers, ventilated equipment boxes are available for 45 euros per week. Our skis and surfboards are restored after each new customer. Your equipment can be dropped off for repairs at the end of the day and collected the following morning at the opening of the pistes. 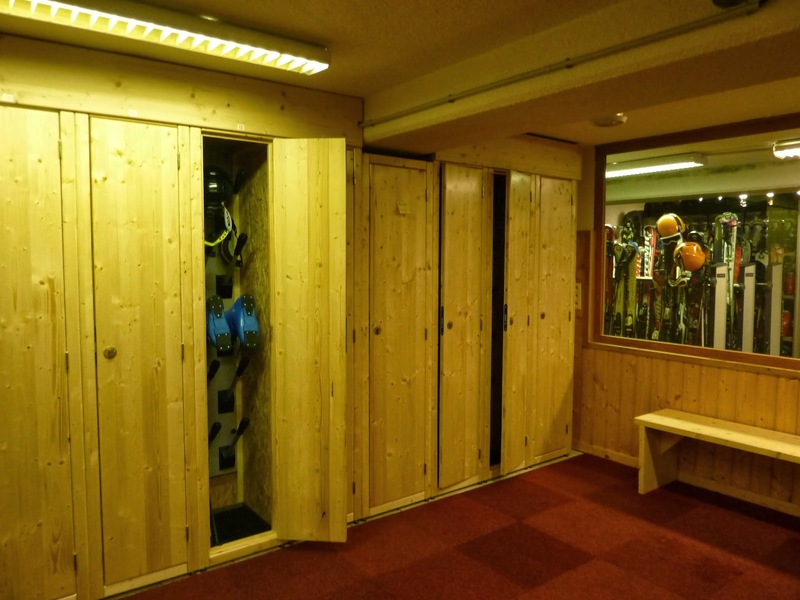 The store is equipped with ventilated racks to dry the ski boots, the equipment is disinfected and deoderised after each customer and at regularly for the boots stored in the lockers. On request, we can deliver you equipment, after you tried it on at the shop.